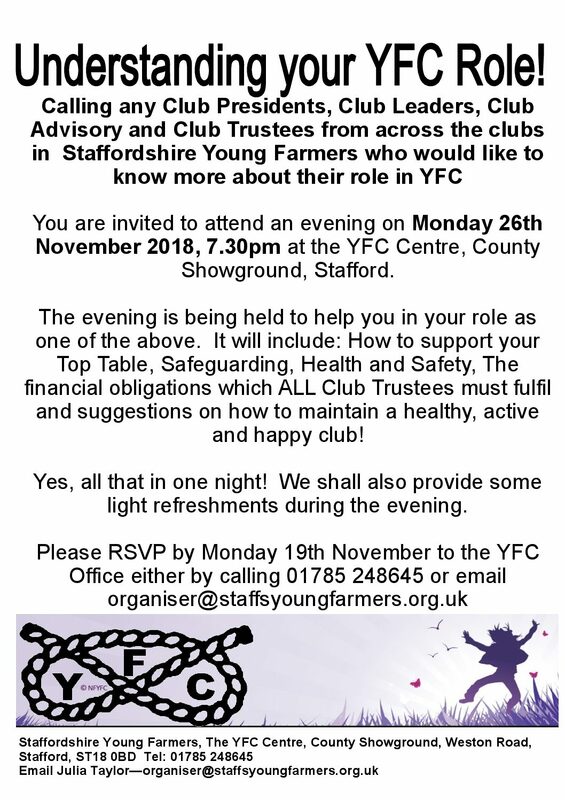 Calling all Club Presidents, Club Leaders, Club Advisory and Club Trustees, we are holding an information evening just for you! Pop along to learn more about your role within your Club. Please reply to the County Office by Monday 19th November, so we know how many cakes to buy! !